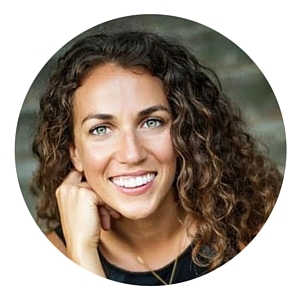 As a Holistic Health Coach, I am always looking for ways to boost the health and nutrient value of everything I eat and drink. 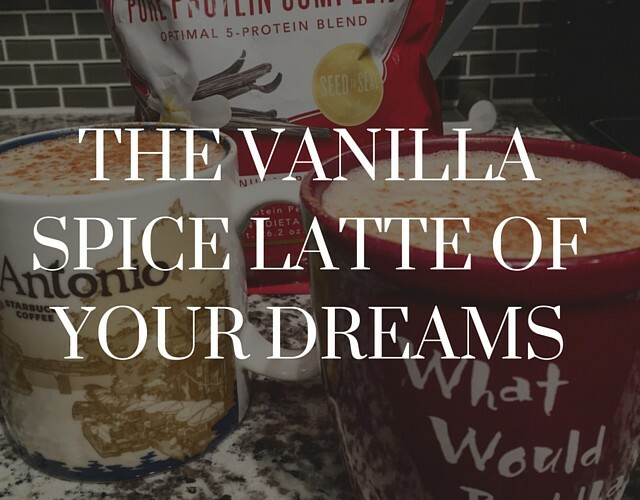 I’ve experienced with so many different coffee recipes that include a source of protein and fat to prevent the coffee jitters when I start my day. Well, my friends, I think I’ve finally found THE one. 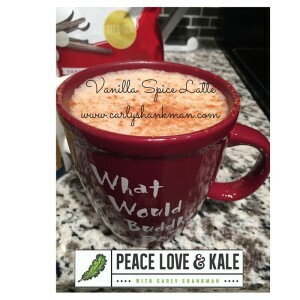 This is the most delicious vanilla spice latte recipe and is super simple to make with only 4 ingredients. 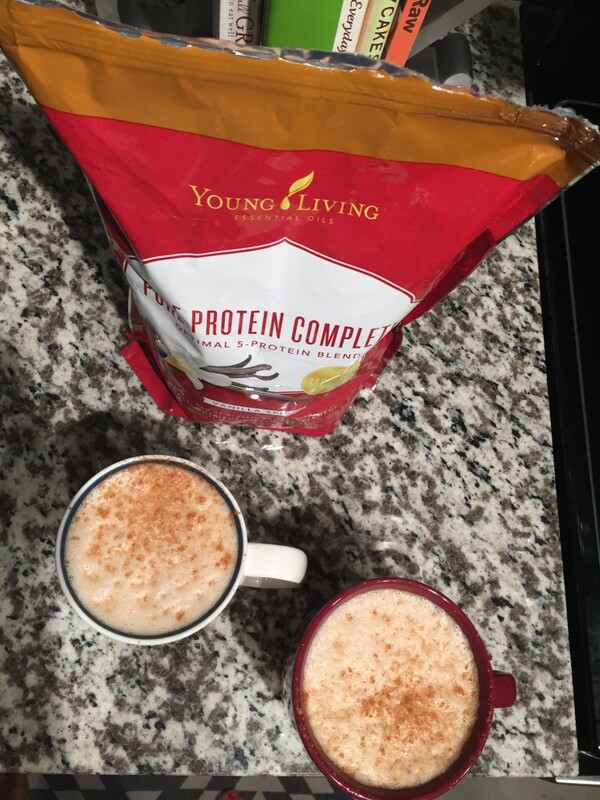 The Vanilla Spice Pure Protein from Young Living is a complete protein source that combines a 5-protein blend, amino acids, and ancient peat and apple extract. 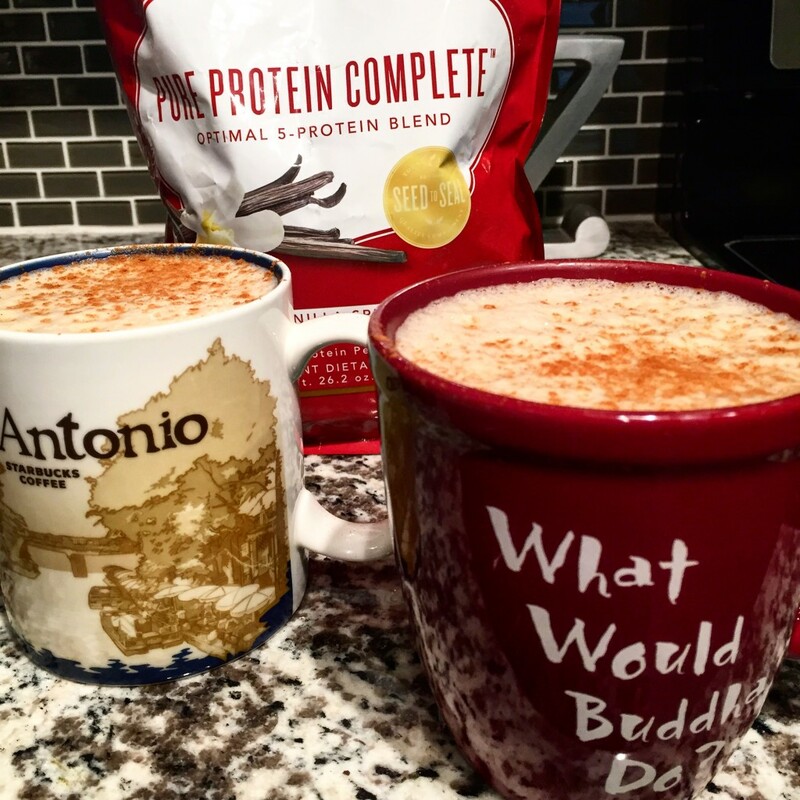 What that means for you is that you’ll start your day with 25 grams of protein just in your morning coffee. Winning! You can buy is retail for $86 at www.youngliving.com or wholesale for $65 by signing up for a Young Living Membership here. If you’re anything like me, and plan on drinking this every morning for the rest of your life, wholesale is the way to go ;). 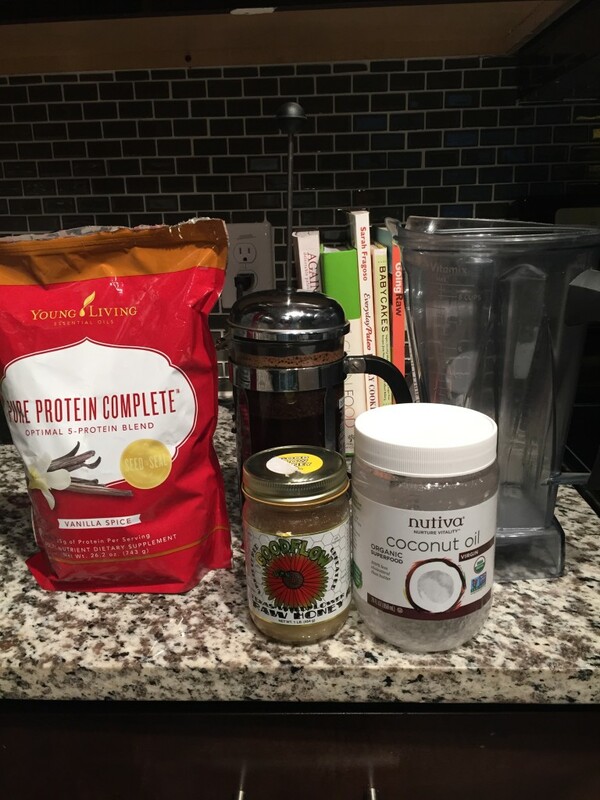 Put all the ingredients in the blender and blend...that's all there is to it. I've tried this recipe many different ways and with different brands but this is by far the best one yet.